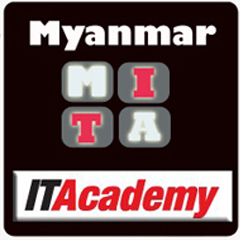 Nowadays, Myanmar is one of the best emerging markets for the IT sectors. It is becoming even more so every day and will be in the next few years. MITA, with its strong workforce has made an entry into these sectors. In 2013, MITA started as a training center. We continue to develop this business and aim to be the leading force in Myanmar. This is now and exciting era for our students, our customers and MITA is proud to be marking a great impact. Solution and tools are not enough today. You need a tight IT strategy and real execution that’s flexible with changing technology, responsive to the moving target and considerate of lean budgets. And, you need it all done yesterday. This is a heavy load and MITA :one of our subsidiary services has the answer.